It’s not uncommon to hear about poverty these days—the percentage of people in a particular city living below the poverty line, the effects of poverty on individuals and communities, poverty in America vs. poverty in other countries, etc. It comes up in the news (usually as a statistic) and in Christian communities as we work to minister to the poor and reduce poverty overall. Generally, when we talk about poverty, we are referring to economic poverty. But have you ever heard of Bible poverty? 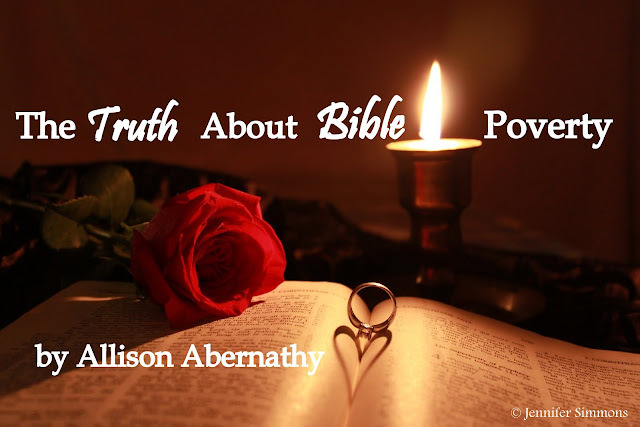 Bible poverty is the lack of access to Scripture, and it’s a very real thing. According to the American Bible Society’s State of the Bible 2015, the Bible is not available in 57% of the world’s almost 7,000 languages. That’s right; over half of language communities in the world still don’t have a single word of Scripture available to them. There is good news and bad news about the 57% without access. The good news: 26% have started the translation process! The bad news: 31%, roughly 1,900, have not even begun. Those 1,900 languages represent about 180 million people. I first heard about Bible poverty in 2012 when I participated in the Wycliffe Summer Internship program and spent 10 weeks in the accounting department at the JAARS Center (one of Wycliffe’s partners in Bible translation) in North Carolina. Wycliffe Bible Translators is an organization working to make the Bible available to all people in a language they can clearly understand. Their goal is to start a Bible translation project in each of the languages still needing it by the year 2025. They call this initiative Vision 2025. Wycliffe and their partners believe that everyone has the right to the Bible in their own language—in the language that speaks to their heart. God wen get so plenny love an aloha fo da peopo inside da world, dat he wen send me, his one an ony Boy, so dat everybody dat trus me no get cut off from God, but get da real kine life dat stay to da max foeva. This is John 3:16 in Hawaiian Pidgin. That’s pretty interesting to read, isn’t it? But imagine if that was the only Bible you had. If you didn’t know John 3:16 in English already, do you think you would be able to fully understand the message of the Gospel? Although Hawaiian Pidgin is closely related to English, it still doesn’t speak to us clearly or penetrate our hearts. This is why Wycliffe believes it is so vital that the Bible be translated into every language, not just languages of wider communication. They realize that if you don’t know that God speaks your language, He seems foreign instead of personal. Catherine Rivard, a translator in Papua New Guinea says, "Without God's Word in their own languages, Jesus had always sounded like an unintelligible foreigner shouting through a pillow, far removed from their own lives and desperate questions." I'm passionate about Bible translation, but I am not a linguist or translator. I like numbers! Since that internship in 2012, I’ve joined Wycliffe as one of their missionaries and will soon be serving in the finance department at their USA Headquarters in Orlando, FL. I'm going to be working behind the scenes to help support approximately 3,500 Wycliffe USA missionaries spread across the globe. I will be working specifically with insurance, helping to make sure fellow missionaries are covered and that their partners' money is stewarded well through accurate payments of claims and premiums. Translation takes a team, and I love that I can use my gifts and passions to help bring the Gospel to all the nations of the world. 1. Spread the word! State of the Bible 2015 revealed that 72% of Americans believe the Bible is available in every language—so the first step is educating people on the reality of Bible poverty. Follow Wycliffe on Facebook, watch and share their YouTube videos, tell your friends that 180 million people are still waiting for a Bible translation project to begin. 2. Join Wycliffe’s prayer team and pray for a Bibleless people group. Wycliffe believes that prayer is essential to the translation process. When you sign up to be on Wycliffe’s prayer team, they will send you information about one people group that is still waiting for their translation to begin. They will send you updates on the group as they become available. Your prayers truly do make a difference. 3. Partner financially. You can donate money, electronics, gift cards, vehicles, etc. all for the cause of Bible translation. You can also partner financially with the Wycliffe ministry of a specific missionary. You can even become a part of my Wycliffe ministry partnership team! 4. Get involved with Wycliffe. Itching to go? Do an internship or overseas trip; join short term or long term. There is a place for everyone (seriously)! Together, we can help end Bible poverty. Find your place today! Allison Abernathy studied accounting at Taylor University and graduated in May 2013. Since then she has been living with her family in Tennessee and working as an administrative assistant at a local Christian school. 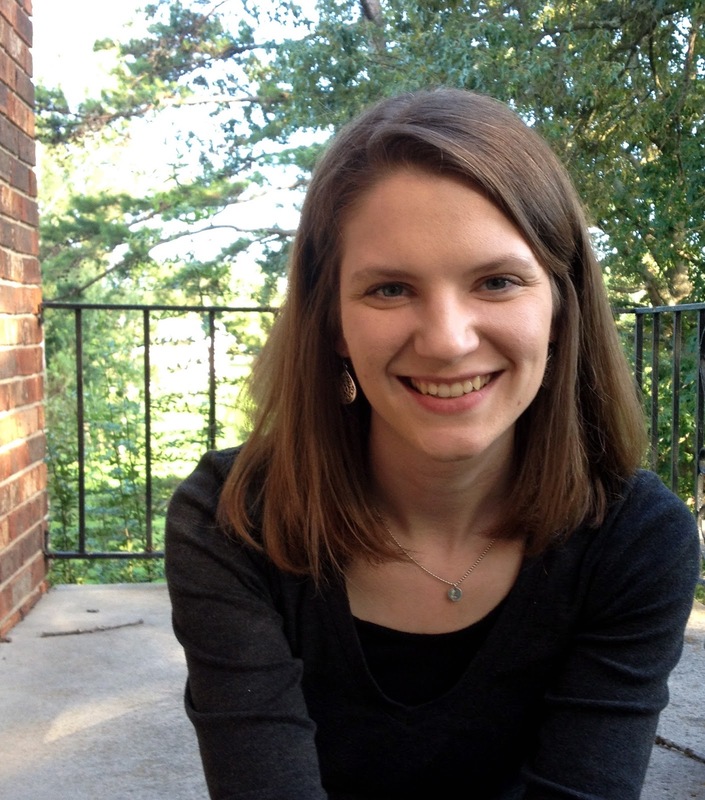 She recently joined Wycliffe Bible Translators and is currently gathering her Wycliffe ministry partnership team. She is the youngest of four and the only girl. She enjoys doing craft projects, taking walks in the neighborhood with her best friend, playing board games with her family, and spending time with her 10 month old nephew.